LG has released a new TV, which is designed to resemble a 1970s-style CRT, but boasts modern features. The TV is currently only available in LG’s home country of South Korea for 840,000 won (roughly £500), with LG saying there are no plans to sell it elsewhere as of yet. While retro volume and channel rotary knobs are present, the TV does come with a remote control, with the many other non-1970s features including a 32-inch 1080p widescreen LED display, HDMI and USB ports, and the ability to stream content from smartphones. Less technologically-focused features mentioned on LG’s Korea Newsroom website are the TV's ‘classic Scandinavian-style design’ and ‘nostalgia of the old days’. Are you ready to make a utility sink sized pool of water the location of your next living room game console? This demonstration is appealing, but maybe not ready for widespread adoption. AquaTop is an interactive display that combines water, a projector, and a depth camera. The water has bath salts added to it which turn it a milky white. This does double duty, making it a reasonably reflective surface for the projector, and hiding your hands when below the surface. The video below shows several different games being played. But the most compelling demonstration involves individual finger tracking when your digits break the surface of the water (show on the right above). There is also a novel feedback system. The researchers hacked some speakers so they could be submerged in the tank, adding a large speaker with LEDs on it in the same manner. When fed a 50 Hz signal they make the surface of the pool dance. This project was completely component driven. [Christopher] and [Robert] wanted to try out buttons with an RGB backlight option. They found the one shown above, which looks fantastic. It should since it costs over twenty bucks in single units. What they came up with is a one pixel video game that works like a color matching version of Simon Says. The button will show you the target color for just a moment. The player then holds the button as it fades through colors. Releasing it at the right instant will produce a green flash, a wrong shade results in a red flash. They went with an Arduino Mega for the project as that was within easy reach. A hunk of protoboard is used as a shield, it includes the button itself, connected through some current limiting resistors to the pins that drive the LED. There is also a tactile switch which actuates the AVR’s reset pin. When trying to get the LED to fade through the full range of colors [Christopher] was hit with a common problem. Since our eyes don’t detect changes in low and high intensity light the same way, you can’t use linear changes in PWM and get a smooth result. He fixed this by using Gaussian curves to set the intensity levels. Sure, there's a cool factor to having a vintage arcade game parked in your rec room. But there's more to it than that -- as we saw for ourselves at Engadget Expand, people are genuinely excited about playing the original cabinet games from their childhoods. 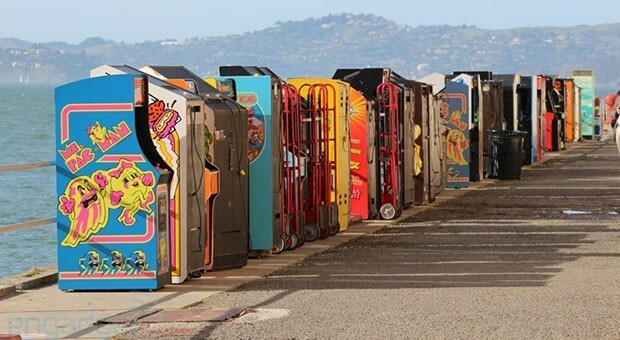 Now you can rent titles like Ms. Pac Man, Pole Position 2 and Donkey Kong for $75 per month in California, thanks to a company called All You can Arcade. It started as just a collecting hobby for brothers Timothy and Seth Peterson, but has blossomed into a business that now rents over 100 games and is constantly adding more. The best part is that you won't have to part with any of your allowance to play -- hit the More Coverage link for the copious list of titles. Doom 4 was scrapped because it "did not have spirit"
Id software director Tim Willits has admitted that the former build of Doom 4 was scrapped because it failed to harness the spirit of the series. In October 2011 it was revealed that work on the game had been “indefinitely postponed” although both Id and publisher Bethesda insist that the game is now back in development and back on track. “It wasn’t one thing,” Willits told IGN when asked about the cause behind the title’s problems. “It wasn’t like the art was bad, or the programming was bad. “Every game has a soul. Every game has a spirit. When you played Rage, you got the spirit. And [Doom] did not have the spirit, it did not have the soul, it didn’t have a personality. It had a bit of schizophrenia, a little bit of an identity crisis. It didn’t have the passion and soul of what an Id game is. Everyone knows the feeling of Doom, but it’s very hard to articulate. “We looked at and the Id guys looked at and said, look, it’s not even that something is necessarily bad. But is it good enough? You can make a game and say, ‘that’s not a bad game, but it’s not as good as an Elder Scrolls game should be,’ and there’s a difference. Willits added that Doom 4 “is the only major project at Id Software today”. In April Id and Bethesda owner ZeniMax was said to have demanded Doom 4’s release within the year. 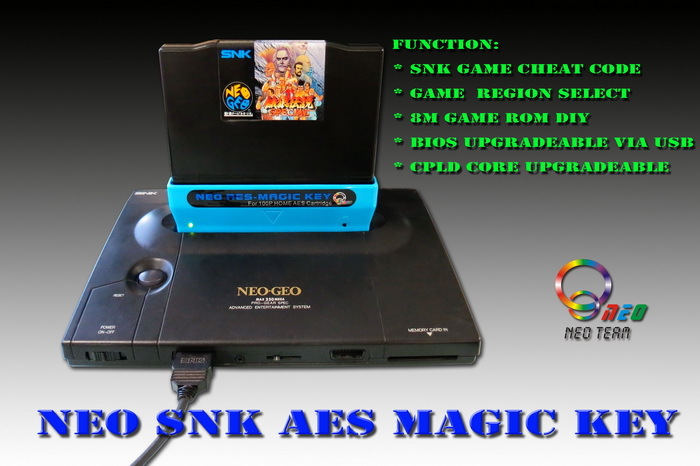 Over at Neoflash they have released a new NeoGeo Flash Cart to go with their Snes, Nintendo 64, Megadrive, PC Engine, Nintendo DS and GBA Flash Carts. Over at TI, the 2013 Intern Design Challenge is underway, an opportunity for the interns of TI to flex their engineering muscle for a few prizes and a chance to have their designs turned into actual products. We’re thinking [Max] might just pull this one out with hisBeagleBone Gaming Cape, an add-on to the BeagleBone Black that turns this ARM-powered Linux board into a retro gaming system. The build was inspired by [Max]‘s earlier MSP430 Launchpad GamingPack, an add-on board for the Launchpad that put two NES controllers, a VGA out, and an FPGA to create a custom gaming console that’s up there with the brightest and best consoles of the 16-bit era. For the new BeagleBone-based build, [Max] eschewed off-board processing, but did manage to include a magnetometer/accelerometer and an audio codec IC to provide the best gaming experience for all those NES, Game Gear. Gameboy, GBA and Doom .wad games. In addition to a fabulous piece of hardware, [Max] also has the case design down to a tee. He first printed out a dozen or so layers of his case, sandwiching the BeagleBone, his cape, battery holders, and LCD display. Once he knew the dimensions would work, he sent his files off to be laser cut out of a matte black delrin. The finished piece is a work of art, and considering how well everything goes together, we wouldn’t mind giving this new retro-gaming console a spin ourselves. In this little video I will show you that it is indeed possible to install the latest firmware on top of the first official firmware, FW 1.00. Updating from Firmware 1.00 to Firmware 6.60, one segment video. Someone said you "have to update from FW to FW" and that "updating from a low to a high FW isnt possible", well... It is possible. Enjoy the video. [Nakul] wanted to build a video game, and with a few projects worth of Arduino experience decided he could finally attain his goal. He used a character LCD display to make his game, and instead of a text-based adventure, he went with a graphical side scroller. The display for this space-based side scroller isn’t a graphical display like a CRT or a graphic LCD. Instead, [Nakul] is using the ubiquitous Hitachi HD44780 character LCD display. Normally these are used to display text, but they all have the ability to display custom 5 by 8 pixel characters. The code puts these custom characters – a spaceship, missile, and barrier – into the display’s memory and uses them as the sprites for the video game. You can grab [Nakul]‘s code over on his git or check out the action videos below. Not wanting too many disks lying around his Apple II battlestation, [NeXT] started looking into hard drive solutions. There is the old-time solution – a ProFile hard drive initially designed for the Apple /// and Lisa, but those are rare as hen’s teeth, and just as expensive as newer Compact Flash adapters. [NeXT] had another option – SCSI, with an adapter card, but most of the SCSI devices of the era didn’t fit in with the cool ‘stackable’ aesthetic of AII peripherals. With a bit of Bondo and some paint, [NeXT] modded an old dual disk drive into a retro-looking hard drive perfect for storing and running hundreds of old games. [NeXT] began his build by taking an old Apple DuoDisk (the two-disk drive seen above) and Bondoing over the holes in the front. A drive activity light was added above the Apple logo, and the old drives saved for another day. Inside the new enclosure, an old 40MB hard drive, tested on a Macintosh SE/30, was installed along with a small power supply for the drive. With a few custom SCSI cables, the drive will be ready for it’s grand debut. We think it looks awesome just sitting there, and is sure to be the pride of [NeXT]‘s collection. aTaRSI is a brandnew and astonishing Atari VCS demo by TRSI, Digital Sounds System & Crest, released at the demoparty Nordlicht 2013. Before the Internet, computer enthusiasts needed to get their cat pictures, image macros, and animated gifs somehow. If only [Nate] was writing code back in the 80s: he created , essentially turning the classic computer into a machine that can play one or two animated gifs. Vintage microcomputers aren’t especially noted for a huge amount of RAM, or being very fast, so [Nick] needed to bring in some extra hardware to give his recently acquired Apple II+ a 64k RAM disk to store the gifs. The gifs are loaded off the floppy drive after being converted on a PC with a Python script, reducing the resolution and colors to 280 x 192 pixels and an amazing rainbow of four colors. For some gifs, seen below, it’s actually slightly impressive an Apple II can pull off this trick. It’s amazing [Nate] got this thing to work, as well. If you have an Apple II set up, you’re awesome. You should go peruse [Nate]‘s git and make your own animated gifs for your awesome classic computer. One of the most annoying things about globalization is that the only ones really benefiting it are the corporations, and not really the customers. Sony can get all their PS Vitas manufactured for a very low price in some factory in China, but then resell it to you at a price that varies depending on where you live. The same is true for video games and pretty much every cultural product today. This is even more infuriating when it comes to digital products, when the distribution costs are practically nonexistent, and you know that the cost difference goes directly in the margin. This is one of the reasons you might want to create a US PSN account. In the land of the free, (legit) cultural products are notoriously cheaper than in the rest of the world, thanks to a healthy competition taking the prices down. You might have other reasons to want to look at the US market: maybe, like me, you live in a foreign country and don’t really want to pay for games that are localized in a language you don’t speak fluently. Or maybe you just don’t like the games/movies selection in your country (again, a very true statement for foreigners like me). Maybe there’s that one specific game you’d like to get on your Vita, that is not available in your country. Sadly, Sony have made it relatively difficult to switch your account’s locale on the Vita. Unlike the PS3, where each account can be tied to a specific country, the Vita allows you to only have one account, and will be pretty tough when it comes to switching it. You’ll basically have to do a factory reset AND format your memory stick (or count on one memory stick per account). Still, in some cases, it might be worth it. • The first step is to “restore your system” (Settings > Format > Restore the PS Vita system). This will, among other things, deactivate your vita, and is the same thing you would do if you wanted to “clean up” your vita before selling it to someone else. •The Vita will then reboot. At this point, the “trick” is to be sure to select the “right” country at the initial set up, and create a PSN account for that country if you don’t already own one. •The last step is to format your memory card (the Vita should directly ask you to do it. If not, you can access that feature in in Settings > Format). Memory cards on the Vita are tied to the account that formatted them. This means that you either have to have one memory stick per account, or you have to format your memory stick every time you switch account.